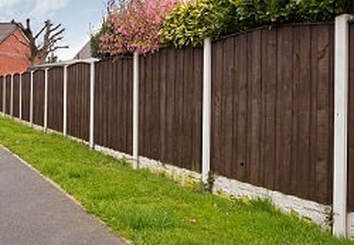 Fences are often the first line of defence versus intruders that plan on invading your home. As such, it’s essential to erect a high-quality fence that’s effective at keeping potential troublemakers away from your home to ensure that you and your loved ones are kept safe. Luckily, our dedicated team of professionals at Birmingham Fence contractors are experts regarding the matter. We can easily and quickly construct a fence in order to give your property a high degree of protection without any hassles. People that have us build their fences often have specific needs that must get catered to. In most instances, they request us to create something that’s aesthetically pleasing but doesn’t compromise the level of security that it’s supposed to bring. As experts, we know exactly what to recommend based on a client’s specific budget or style. In addition to that, our team can do custom jobs for those who already have something in mind. The kinds of security fences that Birmingham Fence Contractors build is only limited to one’s imagination. For example, if one needs that highest level of security, we can erect a steel palisade or a mesh panel fence which boasts special features like barbed or razor wires. In fact, we can even create fencing that has a deadly electrical current that runs through it. Moreover, we are also more than capable of enhancing an already constructed fence by adding certain elements to it. Since local residences aren’t the only kinds of properties that fences protect, we also do jobs for public establishments such as parks, schools, hospitals, and restaurants. After all, our team knows it’s our duty to serve everyone the needs us within the city of Birmingham and its many nearby localities. Furthermore, singling out a certain group of people and neglecting everyone else is simply just bad for business. Now apart from creating security fences and all the elements that come with them, we also offer contractual arrangements wherein our workers shall regularly visit your premises to check on your fence and perform maintenance on it if necessary. We personally prefer this kind of arrangement as it enables us to create a lasting relationship with our clients. Doing so is beneficial for both ends since it brings forth mutual trust and respect. Additionally, it also enhances the good reputation that we’ve strived to build over the many years that we have been in business. Always remember that Birmingham Fence Contractors is here for you and that we’ll come to your aid whenever you require us to get any job that’s related to all kinds of fencing done. Our team will even offer to give you free advice which we’ve gotten from nothing but years of firsthand experience on the field. Needless to say, that fact shouldn’t come as a surprise because nothing makes us prouder than to help those who need us. Please don’t be shy and give us a call at 0121 405 1202 if you plan to have any fencing project done at your property. You can also alternatively contact us by filling up the enquiry form on this site.